Midlothian Ladies’ Golf Association (MCLGA) is committed to supporting county golf by providing training for junior girls. Monthly 9-hole competitions at Swanston’s Templar Course on 3rd Sunday of each month from January to November. They are open to girls with or without handicaps. 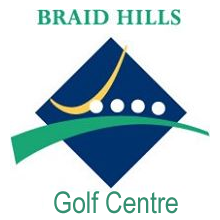 Monthly coaching is organised on the first Sunday of the month at the Braid Hills Driving Range, these will be listed on our calendar. An annual subscription of £10 is payable. Membership runs from January to December each year. We organise various activities for junior members throughout the year such as social evenings, golf outings and golf matches against girls from other counties. Girls with a handicap of 35 or below are encouraged to join the ESGGA. This is for junior girl golfers in Midlothian, East Lothian, Stirling and Clackmannanshire, and Fife Counties and offers competitions as well as matches against other areas. Midlothian County Ladies Golf Association believes that everyone has a duty of care towards children to help protect them from abuse, and strives to provide an environment where young adults can be introduced to and participate in the game of golf in a safe and enjoyable manner. Although there is no legal requirement for Clubs to have formal policies in place, it is considered best practice to formulate and adopt such a policy. The outline of the main provisions of the Midlothian County Ladies Golf Association Policy and Procedures to Protect Children and Adults in Golf. For more information contact our Child Protection Officer by filling out our MCLGA contact form and selecting the Junior Administrator – Sarah Ledingham.